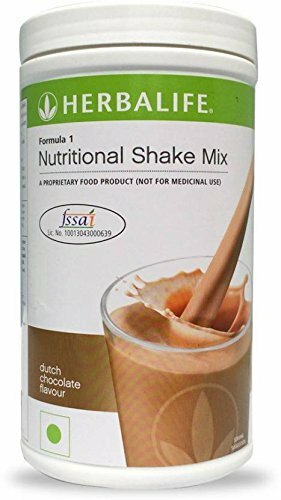 Formula 1 Nutritional Shake mix makes a great tasting shake, specifically formulated with all necessary quality soy protein isolate, as Nutritional Food product for nutritional requirements. Packed with vitamins and minerals along with natural herbs, antioxidants and dietary fiber, it provides desired protein and nutrition without overloading unnecessary fat and calories. One serving of Formula 1 shake mix provides 90 kcals of energy. Enjoy Formula 1 shakes once or twice a day along with portion controlled nutrition and exercise to help towards keeping the body fit.